Mary was born on 3 Feb 1900 in Caton, New York to Charles Tobey and Theresa Haselbauer. She died on 18 Apr 1974 in Interlaken, New York at age 74, and was buried in Grove Cemetery, Trumansburg, New York. 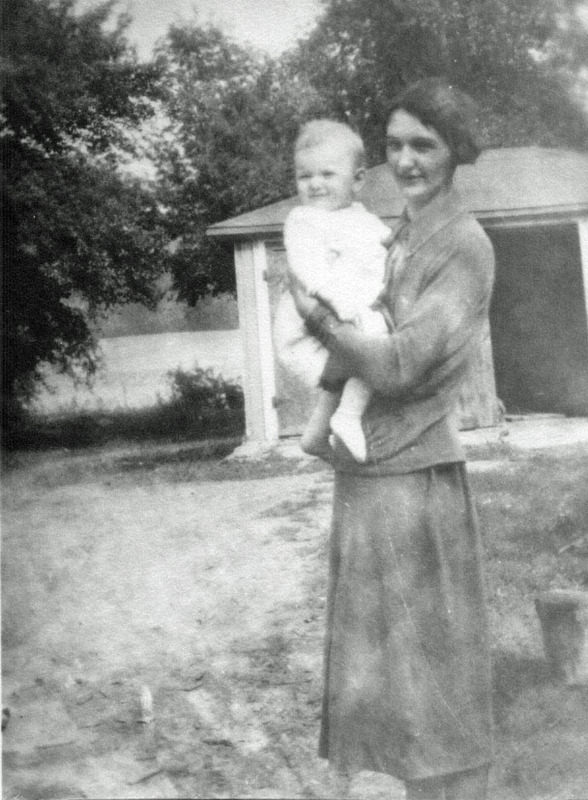 Mary married Frank Judson Hildreth, son of Frank Judson Hildreth and Myrta E. Nichols, on 21 May 1923 in Elmira, New York. 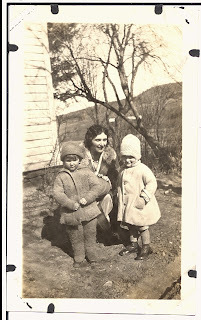 The marriage ended about 1925 when Frank deserted Mary and the two boys. Mary graduated from Horseheads High School in June 1918 and Meeker Business Institute in 1920 after which she taught at Meeker for two years. After she married Frank she worked at Pennsylvania Railroad as a stenographer and they lived at 449 Pennsylvania Avenue in Elmira, New York. She worked as a stenographer in Elmira to support herself and her little boys, but the boys had to live with relatives since she had no way to take care of them. She visited them when she could, but it must have been heart breaking to be away from the boys. In the 1930 census she still listed herself as married and her sister and another young lady were living with her. The children returned to live with her when they were in junior high school. She worked for Elmira Women’s College as Secretary to the President for most of her career. I love this, Sandy! Good job! I know I need to get organized enough to do similarly with my lines.